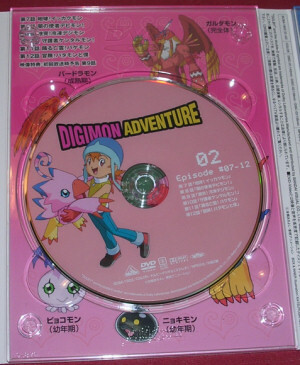 I was wondering if this should go to the merchandise section or not, but decided to add it to the gallery section instead because the DVD set isn't all about Piyomon. 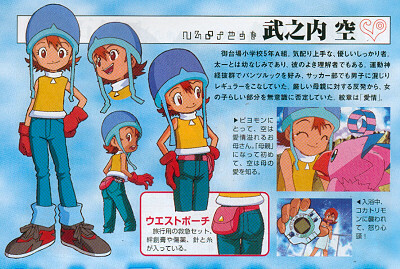 Anyway, this page features scans and digital camera photos of the Digimon Adventure DVD box set I ordered from CDJapan. The box - Exactly. Luckily Piyomon isn't as much in the background as Gomamon and Palmon! First cover - Inside you'll find the three first discs. Fold it out and you'll get this spiffy picture of the Child Digimon and Tailmon and their human buddies running and flying for it. Second cover - The home of disc number four, five and six. 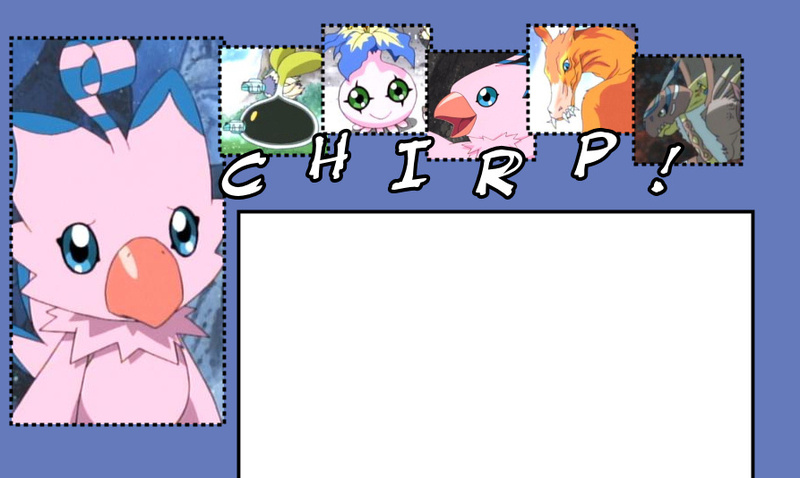 I love this picture even though Birdramon looks a little strange. 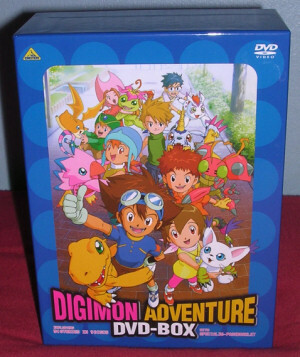 The Adult Digimon and the kiddies are having a jolly good time. 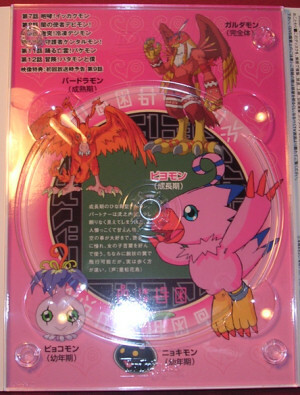 Sora and Piyomon's disc - It's the second DVD, containing episodes 7 - 12. I really love the picture of Sora and Piyomon they used. It's the same as the one on the box. No disc - How it looks like when you remove the disc. 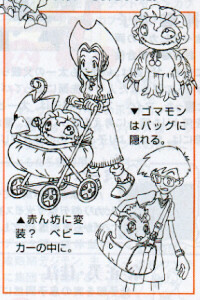 Quite common pictures of Piyomon and her other levels here. Booklet scan #1 - With the box set came a spiffy booklet. Piyomon managed to sneak into one picture in Sora's profile...! My translation skills aren't all that great, but I do believe it says something about Sora being like a mother with overflowing love to Piyomon, and learning to understand her own mother's love for her that way. Booklet scan #2 - Quick Piyomon information including her type, special attack and evolution line. Booklet scan #3 - "Baby disguise? In the baby car."